Hawaiian haystacks are such a nice dinner for any family, and we love how versatile they are. We really enjoy them on Sunday afternoons. We have about 8 – 10 different toppings making it a win win for everyone. Are you getting together with friends or family for the Super Bowl? Hawaiian Haystacks are the perfect dish. Assign those that are coming to bring a certain topping. All you need to do is cook the rice, chicken and gravy. Let them do the rest. Hawaiian haystacks are very versatile and there has got be be something for everyone. One thing for sure, is that we always have two cans of mandarin oranges because they seem to be everyone’s favorite topping. I know that they sure are mine. You can use whatever kind of rice that you like. Some people like white sticky rice, brown rice, or even minute rice. 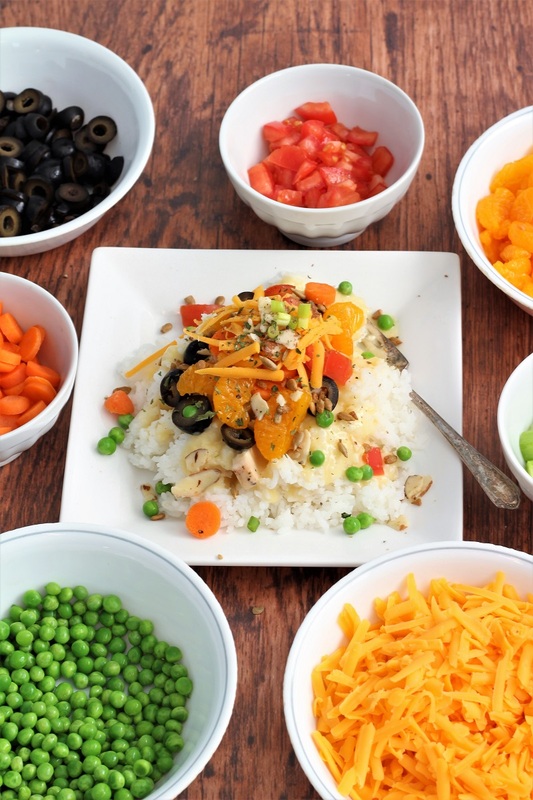 Then we love to have cheese as our number one topper, then we like mandarin oranges, chow mien noodles, tomatoes, sun flower seeds, coconut, frozen peas, cauliflower, broccoli, and carrots. Some people even like to have green onions; I usually do not have green onions, but you might just love them. I also like to have black olives. Also, you can put your chicken in the gravy, or you could put it in a bowl, and let people put it on their Hawaiian haystacks themselves. I just feel that the chicken is better distributed if you put it in the gravy. You be the judge. Another thing or two that people like are craisins, or grapes! The sky is the limit. Another reason that I like Hawaiian haystacks is because they can come together so quickly. I always love when I can get a meal ready and on the table in less than 1 hour. There has been some things going on in our lives that has helped me learn some “golden nuggets”! Just like our government, each person has the way they look at things. They each have their own opinion and people assume things that are not right. There was a girl who decided to copy something from a movie that just came out, where you are blind folded and then you try to do different things. This girl pulled her beanie down over her eyes and asked her friend where to drive the car! There was so much controversy, I was amazed. Some people said that the girl was so dumb, and who does something like that? What kind of kid is she, my kids would never do that! There were all kinds of comments. I saw on social media, that there were comments from both sides and it kind of boils down to this, my neighbor said “unless you are the judge or on the jury, keep your mouth shut”. So many times we have to put our opinion out there just because we can. At first I was impressed that people were saying that we need to give the girl and her family a break, that they are hurting enough. But, this is what happened as she drove with her eyes covered; she broadsided another car. The guy in the other care lived, thank heavens. But as the comments went out, whether they were nice or not nice, I decided that when we are not the jury or the judge, that whatever our opinion is, it makes the other person wrong. I at first thought that we do need to be nice and stop saying things like my kid would never do that! Then the more I thought about it, I had a lot of emotions come up and I realized that when I was 16 years old, my dad died by a hit and run driver and I became more and more frustrated. Thinking that people can tell others that their opinion is right and the other person’s is wrong. Yes, I do think that there is not a point in saying rude things, the damage has been done, and nobody died in this incident, thank heavens. But what happened to teaching our kids that there is a better way to work out your feelings than forcing them on others. I have been taught a few things that we would do well to try before we go spew our opinion on others, because it ended up just as I thought, people arguing their point of view as the right one and that others do not understand. 1- Take a piece of paper and write down how you are feeling; when you are finished you can shred it or burn it. 2- On a farm you learn to work; find windows to wash or vacuum the house while you work your thoughts out in your mind. 3- Go on a walk. 4- Talk to your higher power or God and let them have the worry. This way I feel that we would have less tension in the world; you never know why a person feels the way that they do. Let’s all be a little more understanding and ask a few more questions before we jump to conclusions that our opinion is right. 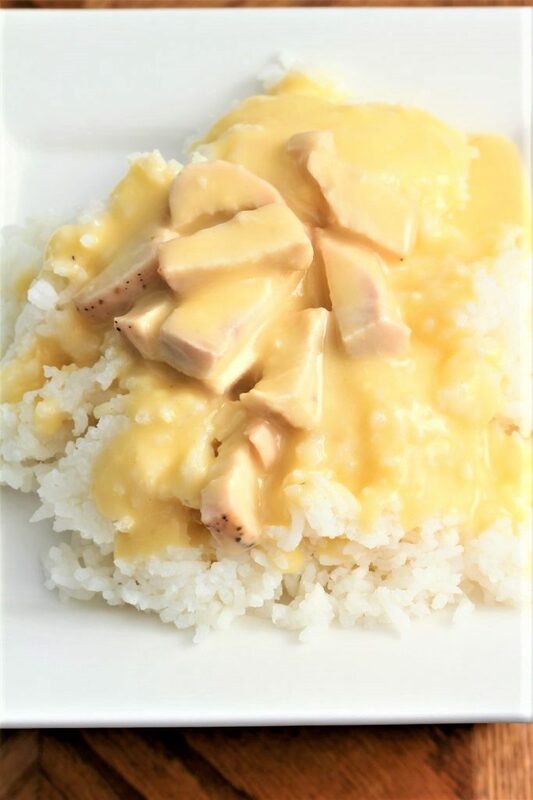 1- Cook your chicken ahead of time, cut it into chunks, and freeze it, then when you make Hawaiian haystacks, it makes it a lot quicker. 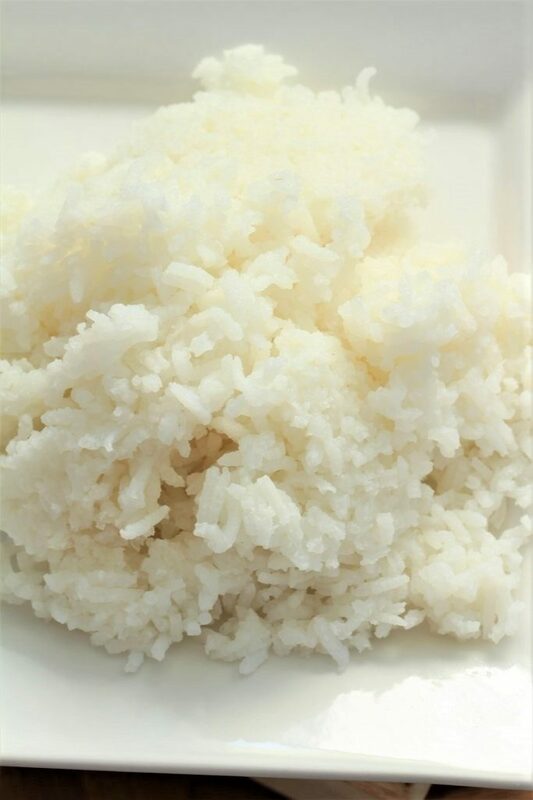 2- If you have left over rice, you can freeze it as well. When you are ready to use it, place it in the microwave and enjoy. 3- If you have a get together, assign other people to bring a topping. In a medium pan, combine the soups and the broth, then add the chicken to the gravy, stir to blend. Start by putting the rice on each person's plate, then add the gravy. Then I like to add the cheese, as it tends to melt a little. Then add the rest of your toppings; whichever ones you like. It’s like a version of nachos but Asian style! 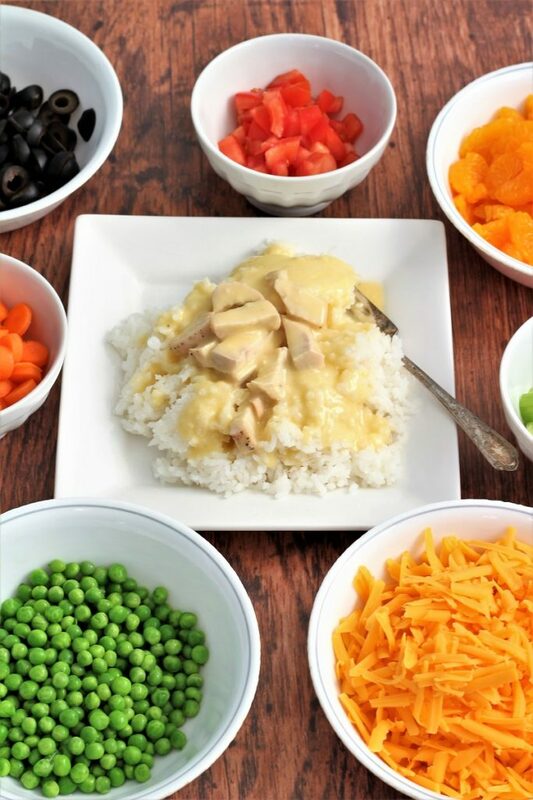 This would definitely be a fun dinner for the family or great party food! YUM! Oh wow, think I would love your nachos, they are a weakness of mine! I love how versatile Hawaiian haystacks are! Thank you! Love all of the fun ideas! Have a great week! Yum, that looks so good. What a great idea. I love all of those ingredients, but never thought to do this. Thanks so much for sharing at Thursday Favorite Things! You are most welcome! Thank you for stopping by and I hope that you get a chance to try the Hawaiian haystacks! Have a wonderful week!